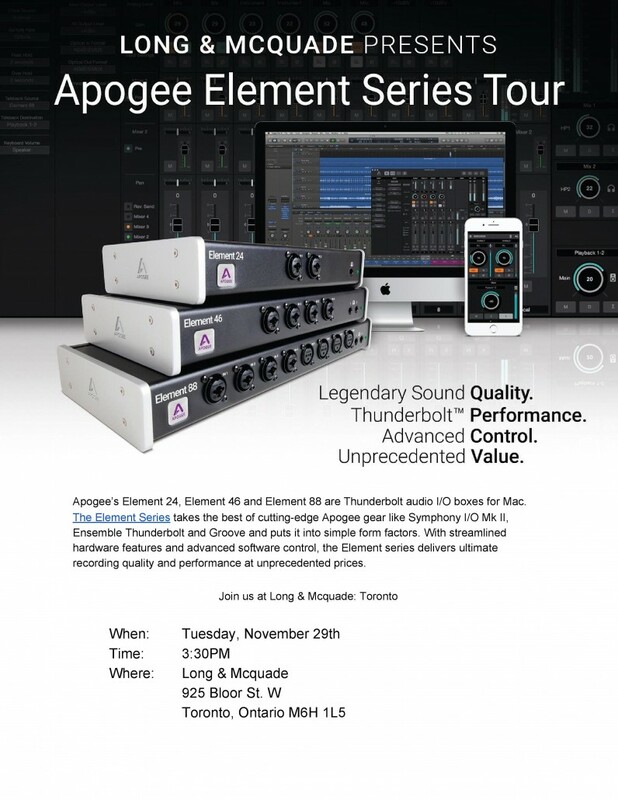 Join Apogee Electronics for an inside look at the new Element Series of Audio interfaces. Apogee’s Element 24, Element 46 and Element 88 are Thunderbolt audio I/O boxes for Mac. The Element Series takes the best of cutting-edge Apogee gear like Symphony I/O Mk II, Ensemble Thunderbolt and Groove and puts it into simple form factors. With streamlined hardware features and advanced software control, the Element series delivers ultimate recording quality and performance at unprecedented prices.